1. Take your spindles to a reputable machine shop. Not Lickmy Tool & die. 2. have them machine 1/4" off the spindle shaft collar. As the diagram shows. 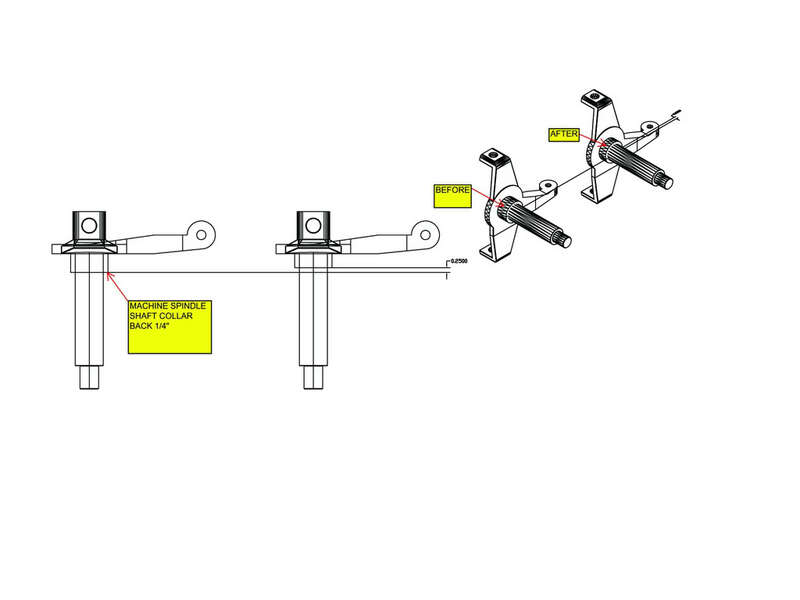 Bringing this diagram with you will be very helpfull for the shop. Awesome work. If you made that yourself, I'd personally like to thank you for taking the time to stop and throw this up here. Seems like with a lot of builds, things like this fall to the wayside and the information that could be the most helpful to lots of people, gets lost. Two huge thumbs up from me. I drew it today at work. ask a mod to make it a sticky? any body need any 3d modleing and renderings done let me know.